NASA has pushed the downselection of the next Outer Planets Flagship Mission to February 2009 from this November. This will provide an opportunity for the community to digest the mission studies due from the two teams on November 3. In June, NASA removed the $2.1 billion cost cap in favor of a "sweet spot" strategy, allowing the study teams to determine a price that would provide the best science per dollar. This has increased the cost of both missions to around $3 billion. With respect to Io, "sweet spot" science for the Jupiter Europa Orbiter would include 3-5 Io flybys during a 24-33 month long Jupiter orbital phase. 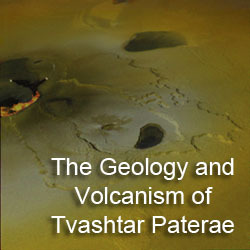 According to the above presentation, these missions would provide the first direct sampling of Io's volcanic plumes, which would indicate that they would try to target one, presumably Pele or Tvashtar. 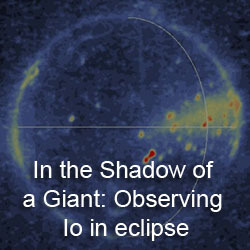 However, the "sweet spot" mission would not include a dust detector or an INMS-like instrument, which would provide crucial information on this regard. It would include a particle instrument, however. The next Outer Planet Assessment Group (OPAG) meeting will take place November 6-7 in Tempe, Arizona. Obviously, the Flagship missions will be an important part of the discussion, along with the Discovery & Scout Mission Capability Expansion program. 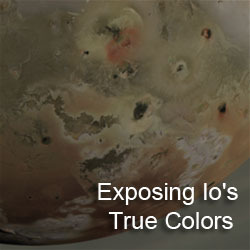 The following papers have been published: The variation of Io's auroral footprint brightness with the location of Io in the plasma torus by Serio and Clarke in Icarus' September 2008 issue; Geologic mapping of the Zal region of Io by Bunte, Williams, and Greeley in Icarus; September 2008 issue; Spatially resolved SO2 ice on Io, observed in the near IR by Laver and de Pater in Icarus' June 2008 issue; and Galileo observations of volcanic plumes on Io by Geissler and McMillan is in press in Icarus (eventually, I need to do a post on this article).